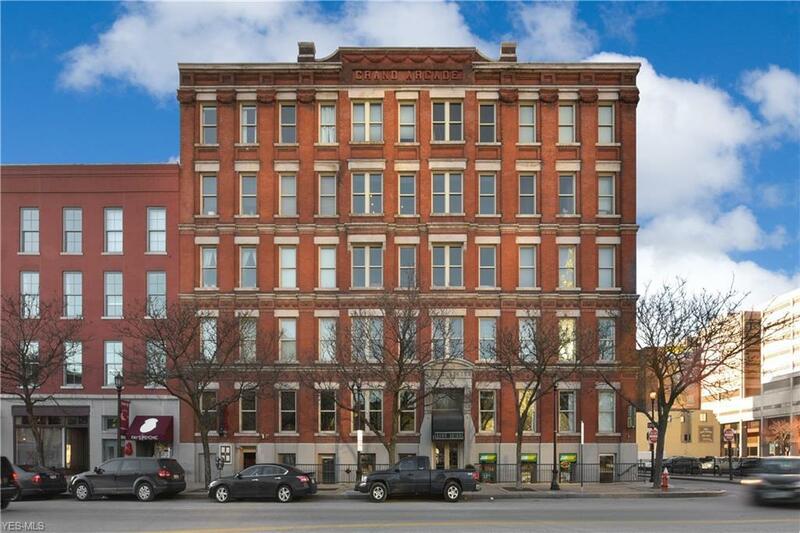 Exceptional Value in this Super Central, Well Maintained, Downtown Cleveland Condo Building! 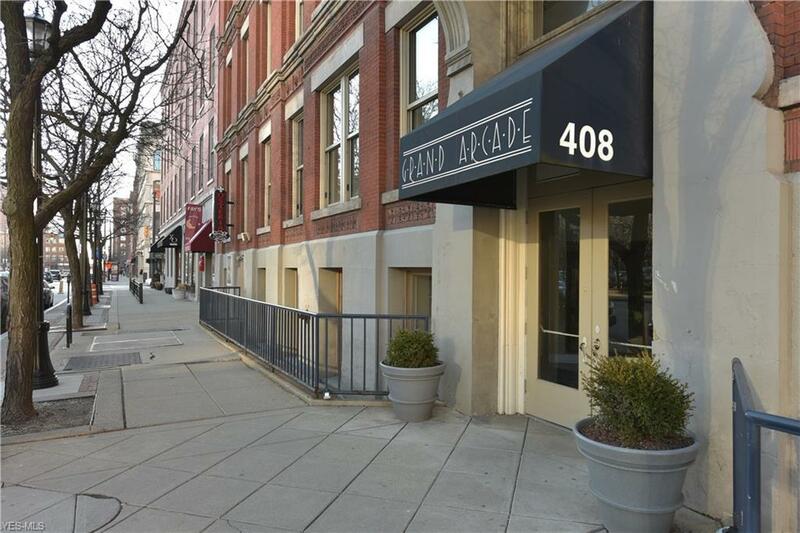 Historic charm + modern finishes in the Grand Arcade: 4th floor 1 bedrdoom with soaring ceilings and stately new windows showcasing the excellent central downtown location! 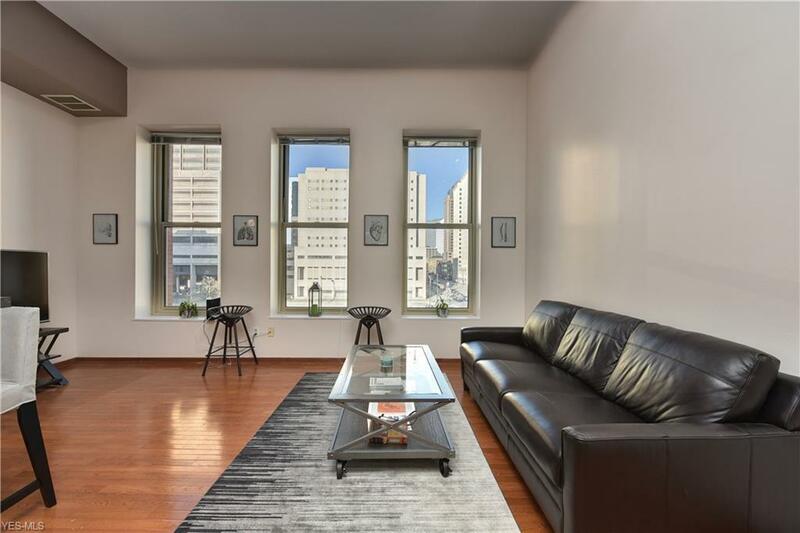 Updates include beautiful oak floors, stainless appliances, newer neutral paint accented by oil rubbed bronze & Murano glass pendant lighting, digital programmable thermostat servicing newer A/C unit and well maintained furnace. Laundry on each floor. 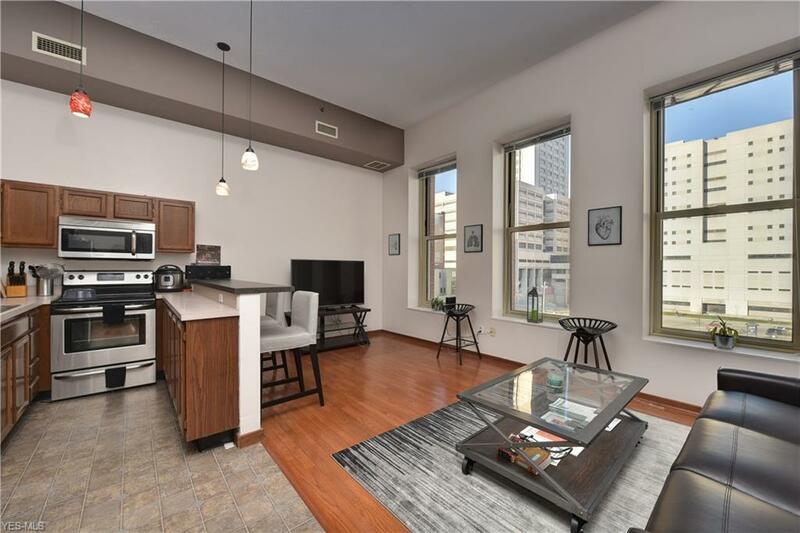 When you don't feel like staying in, Cleveland's best shopping, dining, and entertainment are at your convenience, as this address boasts a Walkscore of 94 and transit score of 89! Tower City rapid stop provides service to Cleveland Hopkins Airport! Leasing is permitted. Current lease in place through 5/2019.